The Lost Distillery Company was created with an interesting premise: attempt to re-create the flavor and style of historical distilleries that are no longer in existence. This strategy is possibly driven by the intense fanaticism shown by fans of some of Scotland’s most notable “ghost” distilleries, including places like Port Ellen. The difference here is that spirit from these “lost” distilleries is a re-imaging, whereas the spirit from a “ghost distillery” like Port Ellen is the actual spirit produced from a closed distillery. Many of the Lost Distillery releases are for distilleries that have been closed for over a hundred years, and so comparative samples simply don’t exist. The Lost Distillery is very open about the fact that these whiskies aren’t based on analysis of archival spirits nor recipe books from the distilleries; instead, they are modern interpretations of what these whiskies may have been like based on a historical study of each distillery. The information the Lost Distillery Company uses to re-image these whiskies includes location, water source, grain source, yeast source, malt drying process, mash tun, wash back, still, and the wood used in their casks. While this is a nice foundation of information, there’s absolutely no way of knowing if the end result is a product that resembles in any way the closed distillery. It’s a lot like creating a song based on historical context of when it was produced from a band no one has ever heard – who’s to say that the song represents that band in the slightest? Ultimately, these whiskies must be evaluated on their own as modern blends, inspired by the past but very much judged by the present. 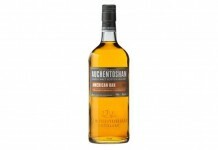 Lost Distillery Auchnagie Blended Malt Whisky (46% ABV / 92 Proof, $69, Lost Distillery Series No. 1) is based on the Auchnagie Distillery which was in operation between 1821-1911 and neighbored Glenturret and Edradour, both of which are still in existence. Here with some neighboring distilleries, the Lost Distillery crew may have had more to work with to get a real world sense of the style of the area. As with all of The Lost Distillery Company’s releases, this Auchnagie re-imaging comes complete with an extensive historical backgrounder. Pale gold in color, the Lost Distillery Auchnagie features light straw on the nose accompanied by honeysuckle, green apple, oak, light smoke, and iodine. The entry for Lost Distillery Auchnagie brings the honeysuckle from the nose and combines it with a salted and honeyed malt. Flavors intensify in the midpalate with the addition of oak spice, black pepper, almond, iodine, and peat smoke. It’s in the mid palate where the whisky also takes on a fairly acidic quality which is accompanied by a kick from some of the younger whisky in the mix. The finish for the Lost Distillery Auchnagie is short to medium length and starts out quite nice, preserving some of the nice grain notes established in the midpalate, but those flavors vanish and all we’re left with is a dry palate. The Lost Distillery Auchnagie has a generally pleasant mouthfeel until the very end where it’s too dry. Lost Distillery Auchnagie Blended Malt Whisky has some nice flavors but it’s hard to get past the overly acidic qualities of the midpalate and the arrested finish. While the backstory of the Auchnagie Distillery is interesting, it would be nice if the Lost Distillery were more forthcoming about the age of the whisky in their blend. While part of my $69 goes to pay for a nice backstory, the majority is paying for what’s inside the bottle, and once you peel away the mythology of this release you’re left with a spirit that is nice but unremarkable. Lost Distillery Stratheden Blended Malt Whisky (46% AVB / 92 Proof, $69, Lost Distillery Series No. 2) is based on the Stratheden Distillery (which was also known as Auchtermuchty) which was in operation from 1829-1926 and was one of the many Scotch Whisky distilleries that closed as a result of prohibition. Although the Lost Distillery Company has a lengthy historical background on Stratheden, there’s very little information on what exactly we are getting in the bottle other than it’s a blend of single malt whiskies. Light gold in color, the Lost Distillery Stratheden Blended Malt Whisky has a rich and aromatic nose with honeyed malt, dried apricot, a hint of blackberry, iodine, and a touch of smoke. The iodine and smoke aren’t pronounced enough to place this in the Islay or Island camp but it does give it a hint of marine style. The entry follows the nose fairly closely with honeyed malt, dried apricot, and some salt. In the midpalate we get oak spice, the iodine from the nose, a touch of smoke, and black pepper. The transition from the sweeter opening to the spicy midpalate is nice. It’s at the end of the midpalate where the younger whisky in the blend pops its head, giving things an increased amount of spice and a touch of heat. The finish is relatively abbreviated and drops some of the nice flavors captured in the midpalate. Lost Distillery Stratheden Blended Malt Whisky has a nice rich mouthfeel that is well balanced with the midpalate spice, but all of that is arrested with the lackluster finish. Like the Lost Distillery Auchnagie, the Lost Distillery Stratheden Blended Malt Whisky has some nice flavors and aromas in the mix, but it’s also plagued by a poor finish. The Lost Distillery Stratheden also suffers from a general lack of complexity. There are some nice ideas at work here, but the result is unfortunately underwhelming. 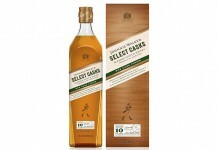 Lost Distillery Gerston Blended Malt Whisky (46% AVB / 92 Proof, $69, Lost Distillery Series No. 3) is based on the Gerston Distillery which operated from 1796-1882 and, to some extent, Gerston Two from 1886-1914. This release has the same kind of extensive back story as the other releases from The Lost Distillery Company. Lost Distillery Gerston is gold in color with a nose that is much more clearly smoky than the other Lost Distillery releases. Peat smoke and iodine are the top notes in the nose which has a decidedly marine style; underneath is marzipan, heather, and apricot jam. The entry for Lost Distillery’s Gerston is slightly metallic with the iodine from the nose immediately on the palate. This medicinal start is balanced well by toffee and marzipan as well as a floral note. In the midpalate we get the addition of spiced cake, apricot jam, black tea, oak, pepper, and peat smoke. The Lost Distillery Gerston is by far the most complex in the midpalate of the three releases. The Lost Distillery Gerston also has the longest finish of the three whiskies, but it, too, suffers from the same drop off in the finish as the rest of the spirits. It’s at the end of the finish where we really get the strongest sense of the younger whisky in the mix. It also has one of the better mouthfeels of the bunch with some nice weight, until the finish where it dries out quite a bit. Of the three releases, the Lost Distillery Gerston has the best complexity and flavor, but it is still hampered by a problematic finish. In one sense it’s admirable for The Lost Distillery Company to try to bring back the styles and sensibilities of distilleries that are long gone, but for this not to be a gimmick, what’s in the bottle needs to be something special. 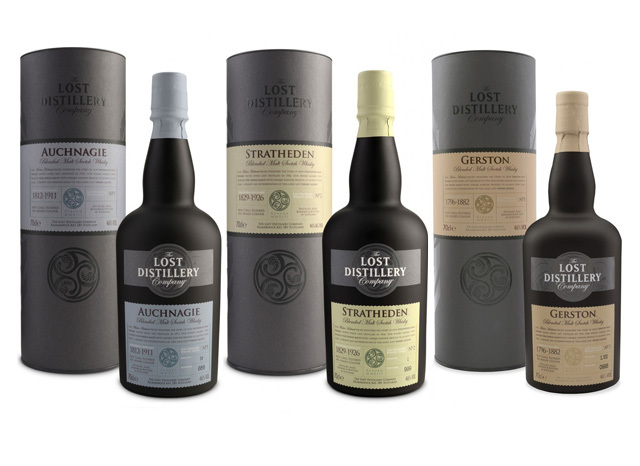 The first three releases from The Lost Distillery all suffer from similar complexity and finish issues which all can probably be traced back to some of the young malt used in each mix. One of the things about stating the age of a whisky on the bottle is that it commits you to pulling from a defined age of spirits. Here, they’ve gone too young and the result is undercutting some of the nice elements that they’ve established with the older malts. Ultimately, The Lost Distillery is the Renaissance Pleasure Faire of the Scotch Whisky world – yes, you may get some of the sights and sounds of the times, but it’s a theatrical re-interpretation that may have very little to do with the reality of these lost distilleries’ malts. The only thing we appreciate is that the folks at The Lost Distillery Company didn’t get too greedy with their pricing. While $69 isn’t a bargain, they could have gone much higher, which would have made this pleasure faire of a whisky into a true tragedy.